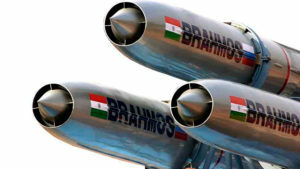 The flight range of the BrahMos supersonic cruise missile will be expanded from 400 km to 500 km, BrahMos Russian co-director Alexander Maksichev said, adding that other specifications will also be modernized. The PJ 10 BrahMos is a ramjet supersonic cruise missile capable of hitting sea-based targets. It was developed by the NPO Mashinostroyeniya military-industrial corporation and the India’s Defense Research and Development Organization (DRDO). The BrahMos joint company was established in 1998 and was named after two rivers, the Brahmaputra of India and the Moskva of Russia. The company’s engineers and designers manufacture the missiles and launchers. The company is also engaged in equipping storages, personnel training, maintenance and the further modernization of the missiles. The serial production has been recently launched for the Indian Air Force. The order portfolio until 2023 is $6.5 bln.